Campbells' sale this month is a treasure trove of gold coins which form part of a deceased estate, having been assessed for Valuation by the auctioneers at a local bank and is now consigned for sale by auction in Worthing, England, Tuesday 30th June. All are believed to have been purchased new and are clear evidence of a very wise investment made over the period of years, largely 1972-1986. Recent times have seen gold values fluctuate widely and bids are invited from those prepared to invest for the medium-term. The sale included an incredible 90 South African Krugerrand, each one ounce of fine gold as well as 59 Canadian 50 Dollars coins, each also one ounce of fine gold and 12 British gold Sovereigns. The Krugerrand and the 50 Dollars coins are expected to fetch between £600-700 each, being sold in lots of one coin, in lots of two coins and in lots four coins – this to enable the smaller investor to participate alongside those with deeper pockets. The South African Krugerrand was first minted in 1967 in an attempt to market South African gold. 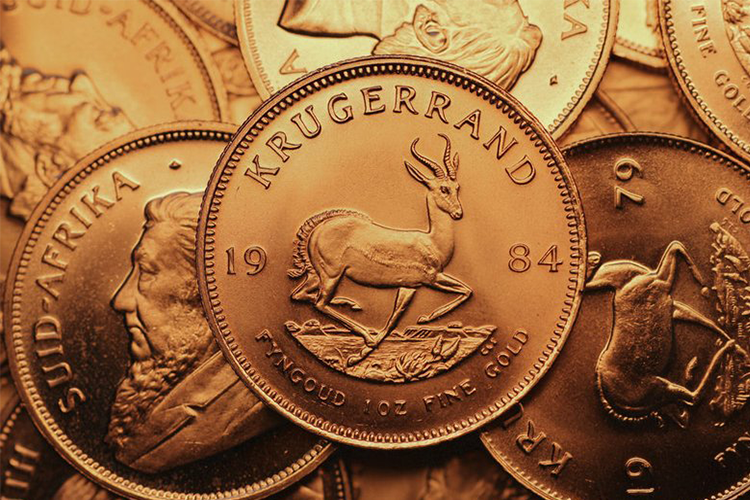 Some 13 years later, the Krugerrand made up 90% of the global gold coin market. The coin is popular with coin collectors as it has such an interesting history. 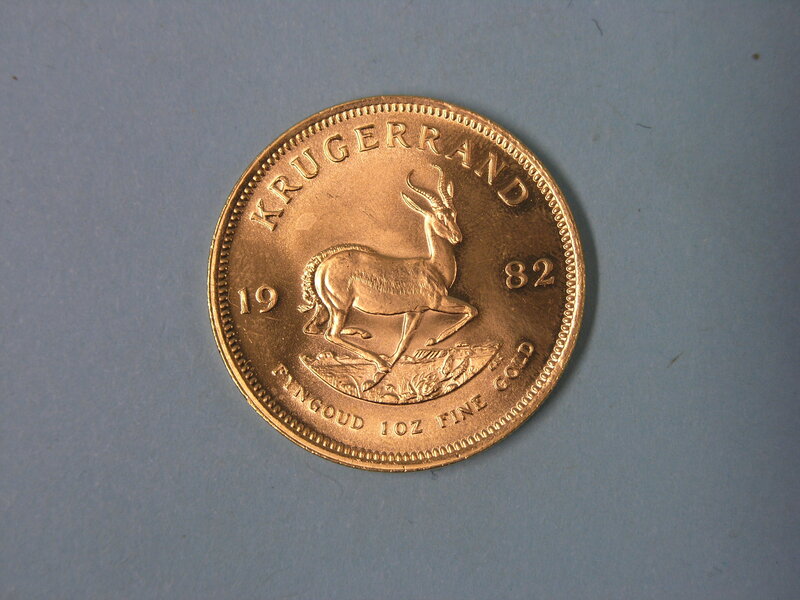 In the 1970s and 1980s the import of the Krugerrand was prohibited due to its association with the apartheid government of South Africa. This ban was lifted in 1994, the year the South African apartheid was abandoned. It is estimated Krugerrand coins containing 46 million ounces of gold have been sold since it was introduced. Search Campbells on Barnebys here.